You don’t need a degree from Oxford to recognise how excellent Society Café is. 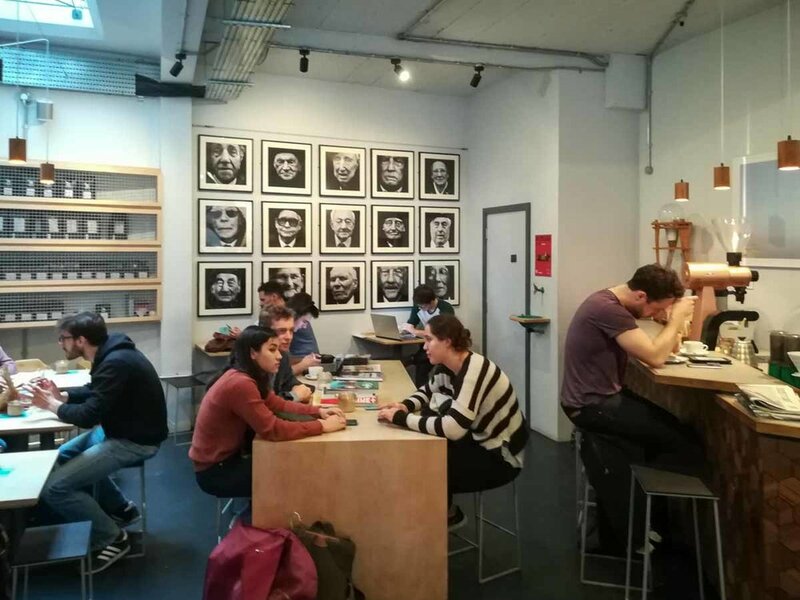 It’s certainly popular with the city’s student population, but during my visit the tables are occupied by an eclectic mix of customers, including a high percentage of laptop-tapping freelancers. Speedy Wi-Fi definitely makes Society a productive place to get some work done. However, it’s the awesome coffee that’s the main attraction here. Owners Jane and Adrian Campbell-Howard are passionate about serving speciality coffee – coffee that’s scored 80 or above on a 100-point scale by the Specialty Coffee Association. Every cup is expertly made by a team of talented baristas to bring out the unique characteristics of the beans they’re made from. As well as the usual espressos and cappuccinos, coffee snobs can geek out over manual brewing methods like Aeropress and V60 pour over. But don’t worry if you don’t know your lattes from your flat whites – the staff here are all super friendly, and more than happy to help you choose something delicious. Not a coffee fan? Society’s loose leaf teas and proper hot chocolate (made from chunks of the real stuff) will surely take your fancy. Plus the cakes are to die for – the generous slice of vegan chocolate cake I ordered was easily big enough to share. The cool, industrial-inspired look of the Oxford café is offset with plants and colourful artwork from independent creatives. It's easy to while away the hours here, sipping good coffee and bobbing your head to chillhop tunes while leafing through the café's intriguing collection of independent magazines. 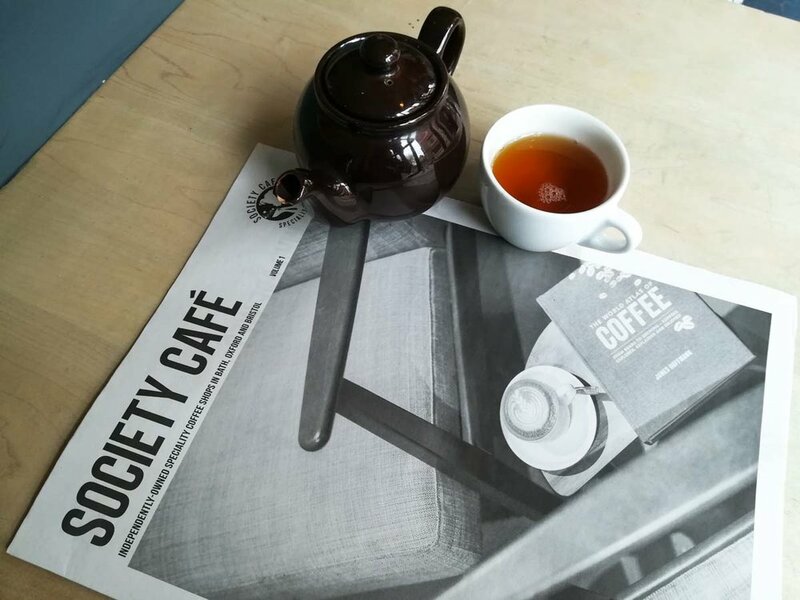 Society even produces its own publication – a newspaper packed with coffee-related articles and photographs. Despite running similar cafés under the same name in Bristol and Bath, Society have smartly avoided the one-size-fits-all feel of larger chains. Each location has its own distinct vibe, while remaining part of a tight-knit family unit thanks to the wider team’s shared obsession for fantastic coffee. 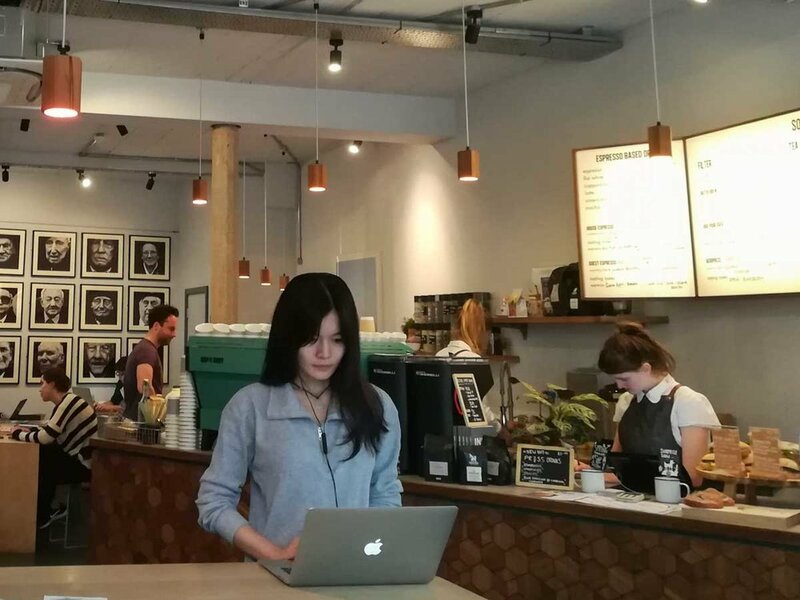 If you’re looking for the best coffee in Oxford, Society might just be it. Next time you find yourself in the city of dreaming spires, make sure you pay this lovely place a visit for a cup or two. Society Café is located at 12-16 St Michael's Street, Oxford OX1 2DU.